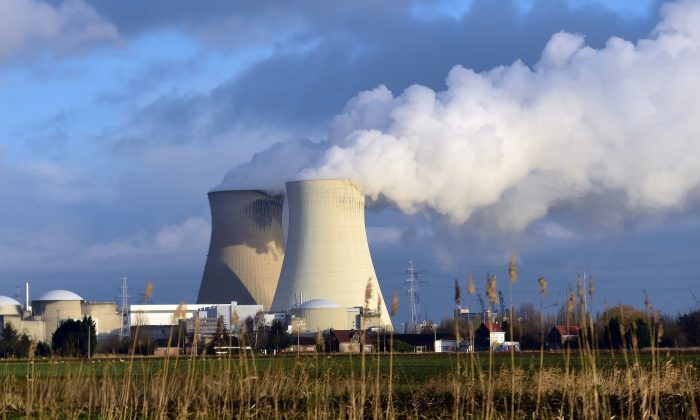 Belgium’s nuclear power plants have been in the spotlight for the past week. A security guard at one of the plants was murdered, and earlier this year it was discovered that ISIS was spying on the country’s nuclear program director, gathering information for a possible attack. But their troubles begin even earlier than that. In 2012, two employees at the Doel nuclear power plant had fled to Syria to join ISIS, the New York Times reports. A spokesperson for the nuclear agency said that the November 2014 incident was a deliberate act of sabotage. One of them was killed in Syria, and the other was imprisoned for terror-related offenses in Belgium, but was released last year. The men had fought in the same brigade as Abdelhamid Abaaoud, one of the leaders of the Paris attacks in November, which killed 130 people. In November of 2014, at the same plant where the two ISIS recruits worked, another employee made an error turning one of the valves, causing the machinery to overheat, which led to a reactor having to be shut down for 5 months. A spokesperson for the nuclear agency said that the November 2014 incident was a deliberate act of sabotage, although it’s unclear whether the employee was motivated by a work-place grudge or had any terrorist connections. An investigation is ongoing. In the hours after the bombing of the Brussels airport by ISIS, Belgium evacuated two of its nuclear power plants, and on Friday, security badges from several employees were taken away at one of the plants. Since the murder of the security guard at one of the plants, Belgium has deployed 140 troops to secure the facilities.